Clear Channel Radio's The Beat of New York, 103.5fm KTU (WKTU-FM), will commemorate the one-year anniversary of Michael Jackson's death by playing songs spanning Jackson's career from his early days in the Jackson 5, to his epic days of Thriller and his journey to his latest comeback, in our 24-hour feature, MJ All Day. This will lead into a Michael Jackson weekend, which will feature special MJ programming segments on Saturday and Sunday. 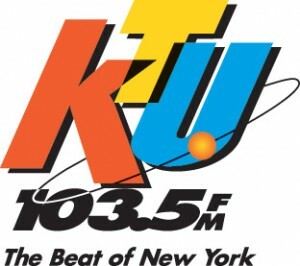 To complement MJ All Day, 103.5 KTU has launched the website http://www.thankyoumj.com/. ThankYouMJ.com will give listeners the opportunity to leave their tributes for Michael Jackson via Facebook or by tagging Twitter posts with #thankyoumj; 103.5 KTU will read select tributes throughout the Michael Jackson programming. ThankYouMJ.com also features dozens of classic, full-length Michael Jackson music videos, photos and more. WKTU Program Director, Rob Miller, stated: "KTU's MJ All Day on-air tribute, coupled with our new website, ThankYouMJ.com, is a great way for our listeners to pay tribute to the King of Pop." The KTU family and fans would like to share in the celebration of Michael Jackson's life and his extraordinary contributions to pop music.